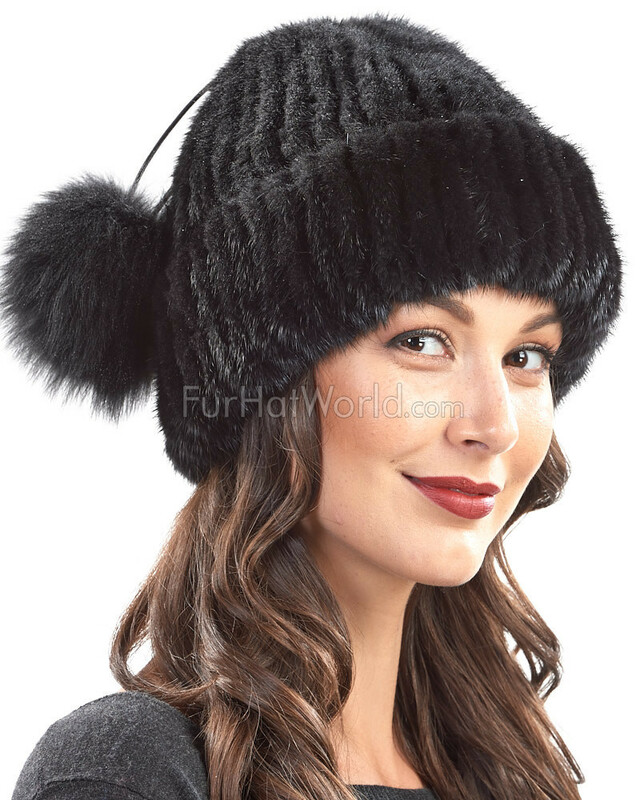 Stay warm during your winter fun with our Mink Cuffed Beanie With Fox Pom Pom in Black for women. 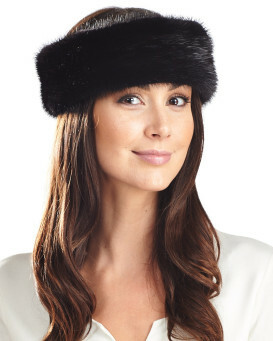 Genuine mink fur is silky and soft throughout the cap. 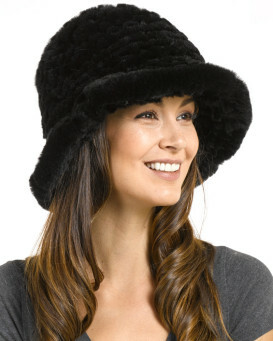 A large fluffy fox fur pom pom adds instant attitude on top. A fold over cuff provides extra warmth and comfort. 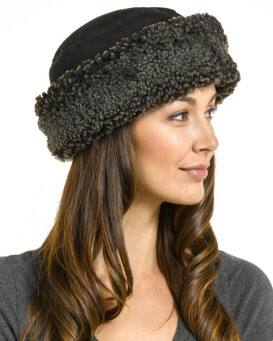 The knit lining is cozy and helps your hair stay in place. This beanie is one size fits all and can be a great gift idea for the special lady in your life. The black shade is timeless and goes with anything! This classy cap is just right for your style. 5.0 / 5 from 18 customer reviews. "Love this hat! Hat is soft and warm. Looks great! I love that Pom Pom can be worn 2 different ways." "It's my second pom pom hat. It's absolutely warm and classy! I wear it with my mink fur coat, or any one of my other winter jackets! Black goes with any colour coat, or jacket. It's an eye catcher! I tell everyone who comments to go to Fur hat world!!!" "Hat arrived on time. Well made the knit cap lining hat allowed easy fit. The mink matched a previous bought mink coat. On Christmas visit will keep her head nice and toasty. Thanks for the Great products!" "Received this product today. It arrived 1 day before scheduled to be delivered, excellent. The product is everything that I imagined it to be. It fits beautifully and it's well made. Love the Pom Pom that can be worn on top for that high attitude or released to be worn hanging for another fashion statement. Last year I bought the mink vest trimmed in fox, this is a perfect match. 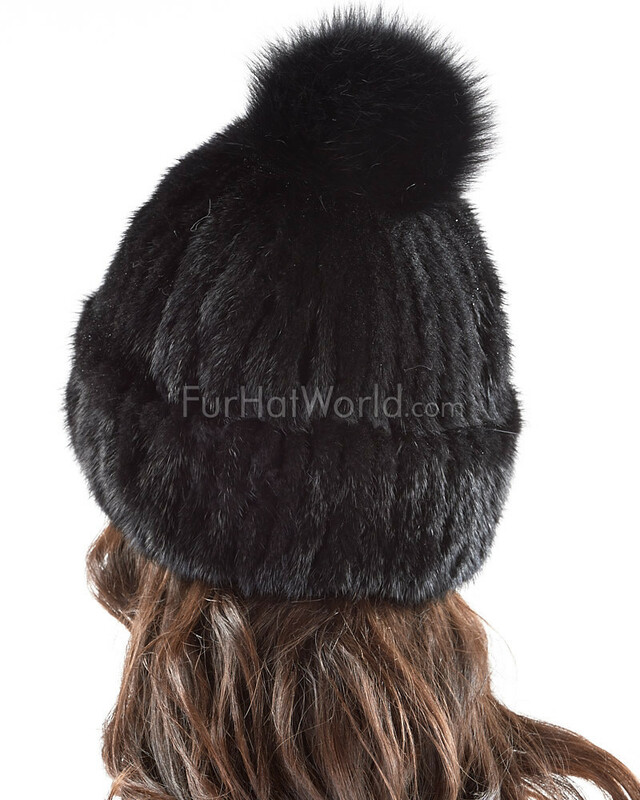 Love it and I plan to order other products from FurHatWorld. Way to go." "Thank you so much FurHatWorld for sending my hat. It arrived very promptly and it is beautiful. It is exactly as it looks in the photographs. It's very warm, well made and stylish. I love the pom pom!!! I have no hesitation in recommending this product." "Perfect to wear for warmth and very stylish too! Easy to shop for plus product is like what is shown." "A beautiful hat. Love the pom pom and the adjustability of it. The hat fits really well with the knitted lining. Shipping service was excellent. Thanks FurHatWorld!"